We recently purchased a home in Palm Springs with the excellent assistance of Doug. From start to finish, the process could not have been easier with his skill and knowledge. He was always available and always with a smile. I have never had such a pleasant experience in buying a home totally thanks to Doug! We were so happy that we found Doug to represent us on the sale of our condo- being remote could have made it difficult- but Doug went above and beyond to make sure everything went smoothly. I had the pleasure to work with Doug McCourt of Bennion Deville Homes to sell my condominium in Palm Springs, and I can say that I couldn’t be happier with the result. He offers impeccable service for those who value integrity, experience and knowledge. Doug is a strategic real estate professional in every sense. His communication was always prompt, easy to understand, and kept the transaction on a perfect timeline. Doug utilized the latest technology to facilitate the process which was especially helpful for me since I live out of the local marketplace. He went over and above and even moved some of my belongings to storage for me, and covered some handyman repair fees. Talk about random acts of WOW customer service! Maybe even more impressive was his negotiating ability, and truly being an advocate for me. Doug clearly loves his work and I cannot recommend him enough. THANK YOU DOUG!! Doug assisted us in purchasing a home in Palm Springs. At the time, we lived several hundred miles away and scheduled a trip with two days to find a home. Doug cheerfully was able to organize and show us more than 20 in those two days. Once an offer was accepted, Doug managed and attended all the inspections as well as the appointments needed for inspection generated repairs. 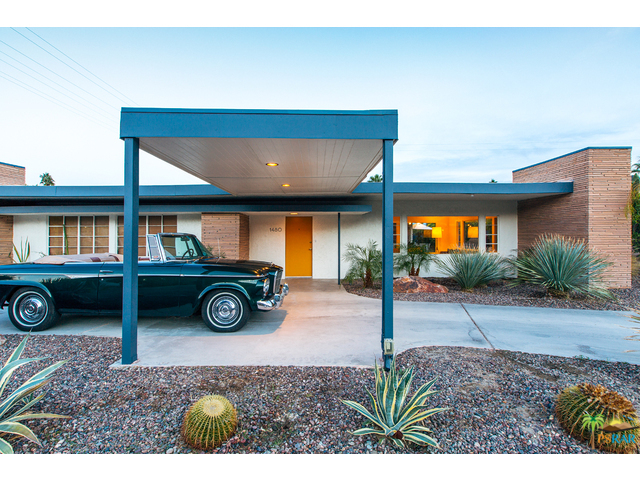 He was on-the-spot, communicative and exceptionally knowledgeable about Palm Springs as well as the entire purchasing process. We would absolutely use Doug`s services again in the future and recommend him heartily. He is a remarkable real estate agent and a pleasure with which to spend time. I purchased a condo in the Palm Desert area and was fortunate enough to have Doug as my realtor. He came highly recommended, so my expectations were high. He not only met them...but exceed them. The entire experience from beginning to end, was top notch. When I first met with him, he presented me with a very detailed, comprehensive "tour" packet of the condos we would be seeing that day. The packet included relevant info on the properties I requested to see as well as a one-sheeter for me to take notes that included my "likes" and "dislikes." He has an eye for detail and is genuinely "present" on the tour. This might sound insignificant, but if you`ve been on a home buying tour that included more than 10 properties, you start to forget what you liked and what you didn`t towards the end of the day. He also brings water and snacks:). To say that Doug is customer-service oriented is a huge understatement. He sincerely cares about his clients and their experience and it translates in everything he does. I live approximately 150 miles from the area and work fulltime so I wasn`t able to drive down for some of the major milestones throughout the process. Doug attended on my behalf and handled things flawlessly. He is knowledgeable, communicative and very proactive and genuinely a great guy. Also, if you`re looking for someone who has exceptional taste (interior decorating) he`s a huge asset:). I purchased on my own, so having someone who I could bounce ideas off was an extra bonus! I highly recommend Doug and wouldn`t hesitate to use him again. We found working with Doug to be fun, professional, with attention to detail in closing and in response to all the various people & companies involved in our home purchase. We have referred him to a number of friends who are looking at homes in the desert. Doug was instrumental in helping my husband and I understand the Palm Springs real estate market and finding our dream vacation home. He is knowledgeable and gives excellent expert advice, incredibly easygoing, flexible and a delight to work with. I strongly recommend working with Doug -- and I`m certain I will work with him again for our future home purchase in the Coachella Valley. Doug worked patiently with me in my purchase in Palm Springs. Not having been thru the process in 25 years it was nerve racking for me; Doug was the consummate calming influence, professional and objective! I purchased a condo in the Palm Desert area and was fortunate enough to have Doug as my realtor. He came highly recommended, so my expectatio ns were high. He not only met them...but exceed them. The entire experience from beginning to end, was top notch. When I first met with him, he presented me with a very detailed, comprehens ive "tour" packet of the condos we would be seeing that day. The packet included relevant info on the properties I requested to see as well as a one-sheete r for me to take notes that included my "likes" and "dislikes. " He has an eye for detail and is genuinely "present" on the tour. This might sound insignific ant, but if you`ve been on a home buying tour that included more than 10 properties , you start to forget what you liked and what you didn`t towards the end of the day. He also brings water and snacks:). To say that Doug is customer-service oriented is a huge understatement. He sincerely cares about his clients and their experience and it translates in everything he does. I live approximately 150 miles from the area and work fulltime so I wasn`t able to drive down for some of the major milestonesthroughout the process. Doug attended on my behalf and handled things flawlessly. He is knowledgeable, communicative and very proactive and genuinely a great guy. Also, if you`re looking for someone who has exceptional taste (interior decorating) he`s a huge asset:). I purchased on my own, so having someone who I could bounce ideas off was an extra bonus! I highly recommend Doug and wouldn`t hesitate to use him again.